Research and Expository Writing Formative Assessment and Test Prep. 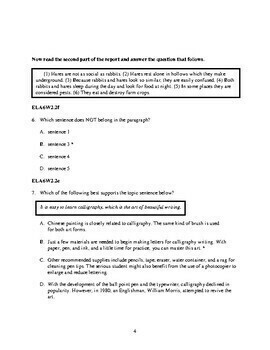 Multiple choice practice questions for state tests. Focused on the research process, expository and persuasive writing. 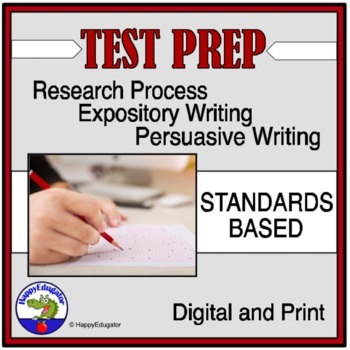 Prepares students for standardized test questions on informative writing. Questions are standards based and support common core standards. Standards are identified and correct answers are marked. Teacher and student copy included. © Deborah Hayes aka HappyEdugator. For classroom and homeschool use.